The IDF’s Search Rescue Unit joined an elite cadre of UN-accredited international rescue units. The IDF’s famed Search and Rescue Unit has been admitted as a member of the prestigious United Nations’ International Search and Rescue Advisory Group (INSARAG) and will operate under the UN in disaster areas along with other international units, the Jerusalem Post reported Thursday. INSARAG is a global network of more than 80 countries and organizations under the United Nations umbrella. INSARAG deals with urban search and rescue (USAR) related issues. The US, the UK, Russia, Belarus, Germany, and Turkey are member states. “Today the National Home Front Command’s rescue unit has become part of a small international community of rescue units around the world. 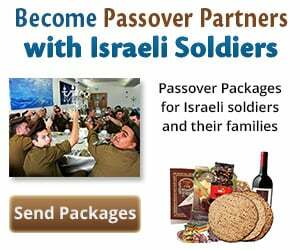 Great respect for the IDF and Home Front Command,” tweeted IDF Spokesperson Brigadier General Ronen Manelis on Wednesday. These well-trained IDF soldiers are ready to save lives anywhere, anytime. IDF recruits undergo a grueling seven-month training period to become members of the renowned IDF Search and Rescue Unit. Before being admitted to the international alliance, the brigade was tested in a variety of complex situations, including the identification and rescue of trapped persons. The week-long accreditation test demanded that the unit meet 230 different criteria, including rapid deployment, provision of medical assistance, the use of advanced technological equipment and simultaneous operation at two destruction sites. Following the completion of the test the brigade “was accredited and joined a small and prestigious international community of rescue units around the world,” the IDF’s Spokesperson’s Unit said. Israel pushed to join INSARAG in 2014 when the military “realized that we had something to learn and to contribute as part of an international search and rescue network,” a senior officer in the National Rescue Unit said, according to the Post. “The United Nations does not pay countries who come to aid, the states do it in order to save lives…today they help and tomorrow they will be helped,” he concluded.